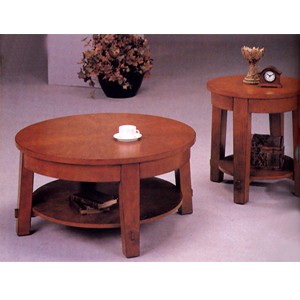 Coffee Table In Light Brown Finish With Oversized Legs. Dimensions: 36Dia., 18H.. Also Available (Not Included In The Price) End Table: 24Dia., 24H.. Easy To Assemble. Strong Construction.